In this day and age writer’s not only have to battle coffee breath and carpal tunnel, we also have a plethora of distractions online just waiting to steer us off the path to a complete manuscript. Gone are the days of snail mail and personalized, handwritten letters. Now, all we need to do is type up a quick email and send it to whomever should be so lucky. Unfortunately, that also means sitting around and waiting…and waiting…and waiting….and, oh! I got an email! *quickly types response, sends and waits* What was I saying? *Updates status* Working on my super cool manuscript! *One hour later* Writing is so hard. Going to have a coffee break. *Two hours later* I have writer’s block. Can’t think what to write next. *Three hours later* Looking at blogs! @writerperson: Being a writer is so awesome! @procrastinating_novelist: Yeah, totally. What are you doing? @writerperson: Working on my story. You? @procrastinating_novelist: Did you watch Supernatural the other night? @writerperson: Yes! Dean is so dreamy! Amazon is such a great place to purchase things, especially books. I love updating my Kindle and I always look at the reviews on Amazon before buying anything. *pauses* I totally don’t have this book on my Kindle. I must buy it immediately, but first I will spend 30 minutes reading reviews. *purchase is made* Amazon recommends this book for me. I better read this review before I buy it. Those are a few websites that are the bane of my writing existence. I see Pinterest becoming another one in the not so distant future. What about you guys? What distracts you online? Komal is currently revising her YA Urban Fantasy novel, Runaway Mortal. 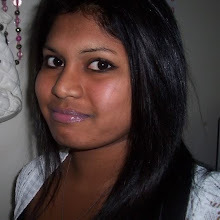 When she's not writing about angels, demons and one very sarcastic heroine, Komal can be found at http://www.komal-lewis.com/ talking about all things book, writing, and reptilian related.